The oxygen binding properties of the hemoglobins from two toads, Bufo bufo and Bufo viridis, have been investigated as a function of protons, chloride ions, organic phosphates and temperature. Electrophoretic analysis of the hemolysates showed the presence of a main hemoglobin in each of the two species. We found that the hemoglobin from Bufo bufo shows at 20°C a slight Bohr effect which tends to increase in the presence of the different allosteric effectors (chloride ions and ATP). At 37°C, the effect of protons is completely abolished in all experimental conditions. The Bufo viridis Hb presents a Bohr effect slightly more pronounced (doubled with respect to B. bufo) which increases only with the simultaneous presence of modulators, both at 20 and at 37°C. Moreover the overall heats of oxygenation (expressed by δH values) result in the two amphibian hemoglobins much less exothermic than that of the human hemoglobin and in the case of Bufo viridis completely independent by organic phosphate (DPG). These particular features are very interesting because the two hemoglobins seem well adapted to the different habitats and physiological needs characterizing the two toads. Maria Elisabetta Clementi, Francesco Misiti , Federica Orsini , Michela Pezzotti and Bruno Giardina , 2007. Oxygen Transport in Amphibia: The Functional Properties of Hemoglobins from Bufo bufo and Bufo viridis. Journal of Biological Sciences, 7: 786-790. Hemoglobins in their purified state exhibit a great deal of variation in terms of absolute affinities for oxygen and their susceptibility to control by effectors such as chloride, carbon dioxide, protons and organic phosphates. This is generally thought to be a reflection of both the variable oxygen tension in which organisms live and the variable oxygen demands of their respiring tissues. The modulation of function induced by the effectors mentioned above has important physiological effects. As an example, at the tissue level, the decrease of oxygen affinity brought about by the increase in proton activity (alkaline Bohr effect) allows a more efficient unloading of oxygen and contributes to the neutralization of protons produced by CO2. Another important feature of the reaction of Hb with O2, is its temperature dependence which is determined by the associated overall enthalpy change (ΔH). Hence, a number of studies (di Prisco et al., 1991; Giardina et al., 1992; Clementi et al., 1994) of Hb function at varying temperature revealed, in different species, a series of adaptive mechanisms which are based on the thermodynamic connection between the binding of heterotropic effectors and the reaction with oxygen. From a physiological point of view, it may be important to outline that this thermodynamic approach is particularly interesting in the case of cold-blooded species such as amphibian. Along these lines and in order to widen the scope of this emerging scheme, we have investigated the functional properties of the hemoglobin from two species of genus Bufo: Bufo bufo and Bufo viridis. Bufo bufo is the so called common toad, is a widespread species and is present in moist meadows and woods, whereas Bufo viridis prefers xeric environments tolerating more dehydration, the salinity and higher temperatures. The results obtained from the hemoglobins of Bufo bufo and Bufo viridis, put in evidence the different characteristics developed by the hemoproteins of these toads (concerning to the same genus) during evolution in relation to their different habitats in which they live. Adult toads of both sexes (ten individuals for each species) were captured during March to November in Calabria. Blood samples were collected, in the presence of EDTA, from anaesthetized toads, through heart puncture. Values for chloride ions concentration was determined with a colorimetric method (Clorofix-Menarini); the assay for nucleotide derivatives (DPG and ATP) was performed with enzymatic kits (Sigma). The red cells were washed three times with iso-osmotic NaCl solution by centrifugation at 1000 g and the packed cells lysed by adding 2 volumes of cold hypotonic buffer in the presence of 10 μM Triton X-100. The stroma and the nuclei were removed by centrifugation at 12000 g for 30 min. Electrophoretic analysis of hemolysates was performed both with cellulose acetate alkaline electrophoresis and with IEF (isoelectrofocusing), a 2% ampholine in the pH range 5.5-8.5 after treatment of the samples with KCN. Purification of principal components was performed using ion-exchange chromatography on a CM-column equilibrated with 10 mM PO4 buffer. The homogeneity of the isolated fractions was checked by cellulose acetate electrophoresis. Stripped hemoglobins were obtained by passing first through a Sephadex G-25 column equilibrated with 0.01 M Tris buffer, pH = 8, containing 0.1 M NaCl and then through a column of mixed-bed ion-exchange resin (Bio-Rad AG 501x8). Concentrated stock solutions of ATP and DPG were prepared by dissolving powder (Sigma) in Hepes buffer. 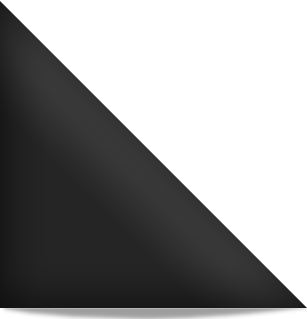 ΔH = - 4.574. [(T1. T2) / (T1-T2)]. ΔlogP50 / 1000, kcal.mol-1, where P50 is the partial pressure of the ligand at which 50% of hemes is oxygenated. Over the temperature range explored (15 to 37°C) Van't Hoff plots were linear within the experimental error. An average standard deviation of ±8% for values of P50 and of ±15% for ΔH values was calculated. Under all the experimental conditions, the ferric derivative of Hb from two toads (met-Hbs) were always lower than 3%. Table 1 shows the hematocrit values, plasmatic concentration of chloride ions and the intra-erythrocytic concentration of ATP (Adenosine-5-Triphosphate) and DPG (2,3-diphosphoglyceric acid) calculated for Bufo bufo and Bufo viridis blood. There are no statistical differences between the values of two toads; however it is evident that the organic phosphate present in great amount in red cells is Adenosine-5-Triphosphate. Our functional data have been performed in the presence of both ATP alone and of ATP plus DPG and the obtained values of oxygen affinity were identical. Thus, the reported results are those obtained in the presence of Adenosine-5-Triphosphate alone. The electrophoretic analysis of the hemolysate from Bufo bufo and Bufo viridis has pointed out the presence of a principal hemoglobin component, characterized by mobility very similar to that of human HbA (data not shown) and purified as reported in the methods section. Figure 1 shows the Bohr effect of Bufo bufo hemoglobin investigated within the pH range of 6.3-8.2 both in the absence and presence of chloride ions and ATP, at 20°C (panel A) and 37°C (panel B). At 20°C, both in the presence and in the absence of chloride ions, the Bohr effect is slightly hinted; instead, the presence of physiological organic phosphate, amplifies strongly the effect of the protons. The situation is different at 37°C: In fact, in all examined conditions, the effect of protons is completely abolished and the values of P50 are identical over the entire pH range. Figure 2 shows the Bohr effect of Bufo viridis Hb in the presence and in the absence both of chloride ions and ATP at 20°C (panel A) and at 37° C (panel B). As evident, Bufo viridis hemoglobin, reveals a major sensitivity to protons, showing at 20°C, a Bohr effect, in the presence and in the absence of Cl¯, higher than that showed by Bufo bufo Hb. The effect of protons, in the presence both of chloride ions and ATP, is similar in amplitude to that displayed by the other toad Hb in the same conditions. At 37°C the situation is completely different respect to Bufo bufo Hb: in fact Bufo viridis hemoglobin shows a strong pH effect that reaches the maximum values when the experiments are performed in the presence both of chloride ions and organic phosphates. These results are better evidenced by values (reported in Table 2) of Bohr coefficients (ΔlogP50/ΔpH), calculated for all experimental condition in a pH range between 6.6 and 8.0. In the same table the corresponding values obtained for human hemoglobin, representing an homeothermic animal. As evidenced, the low temperatures and the presence of organic phosphates increase the values of Bohr coefficient also if in a different mode in the three Hbs, showing a common regulatory mechanism both in ecto- than homeothermic animals. Another characteristic of the hemoglobins from the two toads concerns their response to changes in temperature. Figure 3 shows the effect of temperature and the influence of pH on the overall oxygenation enthalpy (ΔH expressed as Kcal/mole of Oxygen) for Bufo bufo (panel A) and Bufo viridis (panel B) both in the presence and absence of chloride ions and organic phosphates. As evident both the hemoglobins, present ΔH values obtained without and plus chloride strongly exothermic. When the experiments were carried out in the presence of ATP, the temperature effect is markedly increased in particular for Bufo viridis Hb. This effect is the contrary of that observed for human Hb where the presence of organic phosphates decreases the effect of temperature, reducing the ΔH value from 11 (in stripped condition) to 9 Kcal/mol of oxygen (data not shown). Oxygen carriers are one of the most interesting systems for studying the interrelationships between environmental conditions and molecular evolution. Hemoglobin (Hb), being a direct link between the exterior and body requirements, has experienced a major evolutionary pressure to adapt and modify its functional features. In order to ensure an adequate supply of oxygen to the entire organism, hemoglobins have developed a number of complex regulatory mechanisms that involve binding of allosteric effectors (i.e., protons, chloride ions, organic phosphates and CO2) and the effect of temperature. Based on these considerations, the study of the functional properties of hemoglobin from two toads Bufo bufo and Bufo viridis, adapted to different environments, may be considered an interesting model to study the molecular strategies adopted by two ectothermic animals in relation to different habitats. In this regard, the hemoglobins from the two toads showed a slight Bohr effect indicating a slight sensitivity of oxygen affinity to changes in blood pH; this was particularly true for Bufo bufo Hb at 37°C. Moreover, the two Hbs are very sensitive to the effect of both chloride ions and organic phosphates. These phenomena can not be considered unique to these species of amphibians. For example, the Bohr effect of Rana temporaria is strongly pronounced (between 0.36 and 0.51) and chloride ions and ATP have no significant effect on oxygen affinity (Bardgard et al., 1997). The same characteristics are present also in other anuran amphibians Hbs such as Rana esculenta (Sinha, 1983) and Xenopus laevis (Brunori et al., 1985): all these hemoglobins, in N-terminus of beta chains, possess a glycine (Kleinschmidt and Sgouros, 1987) which is considered partially responsible for the Bohr effect (Perutz et al., 1969): in the case of Bufo bufo instead, this position is occupied by a residue of Valine (Caffin et al., 1969). As the ATP effect is concerned, the beta chains of frog hemoglobin lack of the first six amino acid residues, thus there is no Hisβ2 lining the organic phosphate binding pocket: these residues instead are present in toad hemoglobins (Brittain, 1991). However the maximum sensitivity to pH changes of Bufo bufo and Bufo viridis Hbs, is present (in the presence of chloride ions and ATP) at 20°C and at 37°C respectively: it is important to note that Bufo bufo prefers environments around at 20°C while Bufo viridis is adapted better at high temperatures. In any case, a low Bohr effect, may be considered as a protective mechanism to modulate the altered blood parameters, such as O2 and CO2 and urea concentration that the toads manifest during aestivation periods in which metabolic pathways are very depressed (Jokumsen and Weber, 1980). With respect to the overall heats of oxygenation (ΔH) of Bufo bufo and Bufo viridis Hbs, these are very little exothermic in particular in the absence of organic phosphates evidencing a low sensitivity to temperature. The more exothermic values of ΔH are observed in the presence of ATP especially at alkaline pH values. This result is completely opposite to that found for human Hb and for other mammalian Hbs where the liberation of organic phosphates is an endothermic reaction whereby the apparent overall heat of oxygenation, in the presence of DPG is less and less exothermic with respect to stripped conditions. Moreover it is possible to note that enthalpy values in the presence of ATP are pH dependent: this variation of ΔH is probably due to the increasing endothermic contribution of the Bohr protons, which cancels some of the heat released upon O2 binding. In any case, in para-physiological conditions (presence of chloride ions and ATP at pH between 6.8 and 7.6) the ΔH values of both the toads are sufficiently exothermic as expected for etherothermic animals. This property is interpretable as a mechanism of adaptation in relation to the sudden variations of body temperature that these cold blood animals present seasonally, representing an example of molecular adaptation to specific respiratory requirements. Moreover the smaller variation on ΔH from pH observed in the two toads Hbs might be indicative on an energy saving mechanism of loading and unloading oxygen with respect to human Hb, but the differences observed between the Bufo bufo and Bufo viridis Hbs are not so much significant. Bardgard, A., A. Fago, H. Malte and R.E. Weber, 1997. Oxygen binding and aggregation of hemoglobin from the common European frog, Rana temporaria. Comp. Biochem. Physiol. B Biochem. Mol. Biol., 117: 225-231. Brittain, T., 1991. Cooperativity and allosteric regulation in non-mammalian vertebrate hemoglobinous. Comp. Biochem. Physiol. B, 99: 731-740. Brunori, M., S.G. Condo, A. Bellelli B. Giardin and G. Micheli, 1985. Tadpole Xenopus laevis hemoglobin. Correlation between structure and functional. J. Mol. Biol., 181: 327-329. Caffin, J.P., J.P. Chauvet and R. Acher, 1969. Les hemoglobines des amphibiens: Separation et caracterisation preliminaire des chaines d'une hemoglobine du crapaud Bufo bufo. FEBS Lett., 5: 196-198. Clementi, M.E., S.G. Condo, M. Castagnola and B. Giardin, 1994. Hemoglobin function under extreme life conditions. Eur. J. Biochem., 223: 309-317. Di Prisco, G., S.G. Condo, M. Tamburrini and B. Giardina, 1991. Oxygen transport in extreme environment. Trends Biochem. Sci., 16: 471-474. Giardina, B. and G. Amiconi, 1981. Measurament of binding of gaseous and nongaseous ligands to hemoglobin by conventional spectrophotometric procedures. Meth. Enzymol., 76: 417-427. Giardina, B., A. Galtieri, A. Lania, P. Ascenz, A. Desideri, L. Cerroni and G. Condo, 1992. Reduced sensitivity of O2 transport to allosteric effectors and temperature in loggerhead sea turtle hemoglobin: Functional and spectroscopic study. Biochim. Biophys. Acta, 1159: 129-133. Jokumsen, A. and R.E. Weber, 1980. Hemoglobin-oxygen binding properties in the blood of Xenopus laevis, with special reference to the influences of aestivation and of temperature and salinity acclimatation. J. Exp. Biol., 86: 19-37. Kleinschmidt, T. and J.G. Sgouros, 1987. Hemoglobin sequences. Biol. Chem. Hoppe-Seyler, 368: 579-615. Perutz, M.F., H. Muirhead, L. Mazzarella, R.A. Crowther, J. Greer and J.V. Kilmartin, 1969. Identification of residues responsible for the alkaline Bohr effect in hemoglobin. Nature, 222: 1240-1243. Sinha, R.C., 1983. Haematological studies on the prewintering and wintering frog, Rana esculenta. Comp. Biochem. Physiol. A, 74: 311-314.